WinOps describes itself as “the world’s only dedicated conference to ‘Windows in a DevOps world’”. The 2016 conference took place on 24 May in London; the event partner is Microsoft themselves, who are also well represented in the speakers with Jeffrey Snover, Ed Wilson and Michael Greene. All 100 copies of the book Continuous Delivery with Windows and .NET were taken! Jeffrey Snover kicked the day off with a walk through the history of Windows Server; from the creation of Windows NT through to the plans for Windows Server 2016. Jeffrey tells us that Windows Server 2016 is the result of “DevOpsification of Windows”. This was the first sign of the day the the word DevOps seems to have a different meaning at this conference, which focuses on tooling and automation rather than cross-team communication and collaboration. This “DevOpsification” includes support for operational validation testing, containers, package managers as well as other features to aid automation and configuration. He also talked about Nano server as being the Cloud optimised edition of Windows Server 2016 which appeared to bring the most interest from the audience. Next, Iris Classon illustrated how Konstruct took their on-premise architecture to the Cloud, by literally live sketching the design and choices made. Iris covered the questions they asked themselves at each decision point: which cloud provider? What kind of data storage? How to handle security? How to approach automation? These questions were insightful and and reassuring to hear other teams asking themselves as the start their cloud journey. The rest of the architecture discussion was very specific to the platform Iris is working on and so not as transferable. 100 copies of Continuous Delivery with Windows and .NET – all gone! During the short break, Matthew Skelton and I laid out the free printed copies of our book “Continuous Delivery with Windows and .Net” which were snapped up very quickly. I had a couple of interesting chats with people around the book who all stated they appreciated the short form of the book and would be taking copies into their offices for their colleagues. Configuration Management at scale was the focus of Ed Wilson’s talk. Ed gives a quick overview of Desired State Configuration for the management and maintenance of Windows Servers. He then goes on to explain that DSC is part of the Azure Automation service which reduces the need to set up and manage your own DSC pull or reporting servers and easily provides resource management for your Azure services. It sounds that DSC on Azure is a much smoother experience than the current self-hosting solutions. Michael Greene’s talk was based on the whitepaper “The Release Pipeline Model”, which he co-authored with Steven Murawski. The paper and the talk covered development practices applied to Windows Server and Cloud systems, i.e. Infrastructure as Code. The talk started at the basics by describing source control and how the use of it can double as an audit log and single source of truth. It then covered continuous integration and build, followed by automated testing using Pester and finally release of the changes. Lunch – yay for veggie! Lunch is an important part of any conference – the food needs to be sustaining, whilst being easy to serve and the there needs to be enough space and time for the all-important “hallway track” conversations. The large basement area of the Skilsmatter venue lent itself well to this task and there was a lot of mingling with the sponsor stands too. The catering gets a thumbs up from me for having a hot vegetarian option. After lunch the track split into two parallel tracks. I chose to see the demo of the latest changes in TP5 of Windows Server Nano and Containers from Richard Siddaway. It’s obvious from the demo that despite being the fifth technical preview, there is more work needed before Nano is ready for RTM. Still, what we did see was very encouraging. Using Powershell, Richard was able to script the creation of both a host Nano server and container Nano server. Using only the facilities available in the package manager he installed the needed roles and set them running. I chose to attend the panel “DevOps Culture in a Windows” instead of the more popular “DevOps Technology in a Windows World”. The former focussed on culture, which I feel is the trickier part of adopting DevOps and the latter focussed on tooling, plus it was an all male panel. I wrote about 4 pages of notes from the panel session, there were lots of interesting bits of information and I didn’t manage to catch it all. There were discussion included topics such as: whether a DevOps team is a good thing (sometimes, if used as an incubator to spread the approach); tips for adopting DevOps (don’t set out to directly change culture, it must grow from self-reflection); the Y-Shaped developer (knows many things, with areas of specialism); killing Change Advisory Boards (work with Auditors to teach the accountability present in newer development methodologies); legacy applications (and that the industry is terrible at decommissioning products). It was probably my favourite session of the day. Next I attended Matteo Emili’s presentation on “Development and QA dilemmas in DevOps”. Unfortunately the videographer was having technical difficulties resulting in Matteo’s talk starting late and being cut short. The talk itself was a demo driven discussion of what I would call Continuous Delivery practices – small frequent change and regular releases supported by feature flags. It didn’t feel like the content tied back to the talk title which I am assuming is because the talk was cut short and Matteo was unable to wrap it up cleanly. Overall, the conference was informative with regards to the future that Microsoft are working towards although many of the talks felt introductory when tackling development practices – more than once was version control mentioned as something people need to learn. With the release of Windows Server 2016 fully out, WinOps 2017 could prove to be a very interesting event. Matthew Skelton and I have co-authored a short eBook focussing on Continuous Delivery with Windows and .Net. 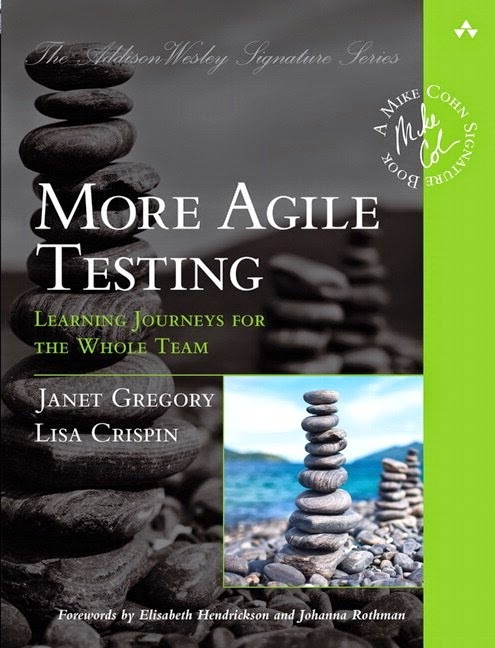 This eBook is available for free from O’Reilly. It contains some empirical advice around the practice of Continuous Delivery, an overview of tooling suitable for use in a Windows/.net environment and case studies from a variety of companies employing many of the techniques. Take a look at the full Table of Contents on the book’s microsite. Matthew and I spoke at the London Continuous Delivery meetup group on 23rd February 2016, using some case studies from the book and some person experience to show how Continuous Delivery is very much possible in 2016 and beyond. Download the book for free and let us know if you have any feedback – we’d really appreciate it. In the middle of last week I received an email informing me that I’d been chosen to attend an event organised by Girls in Tech to meet some of the Inspiring Fifty – inspiring women in tech of Europe. The surprising part was that it would be hosted at Number 10 Downing Street! The first question I asked myself was “what did I do to get picked?” closely followed by “what the hell am I going to wear?”. I mentally perused my wardrobe of jeans and geek t-shirts and figured I’d best go out and buy a trouser suit. Upon passing through multiple levels of security to enter 10 Downing Street, our phones and other electronics had to be left at the entrance and so sadly I have no pictures from inside. 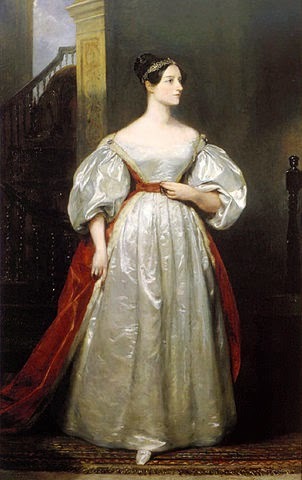 The event started with sparkling elderflower juice in a room with the Ada Lovelace portrait watching over us – I tickles me to think this was a deliberate decision. Drinks were followed by a tour around the building. The best way I can describe the house is as a “living museum”. The building is filled with precious furniture, art and relics of its history, with none locked away behind glass or a red rope. One of the staff members who guided us quite proudly stated that he felt such furniture should be enjoyed and I agree with him. 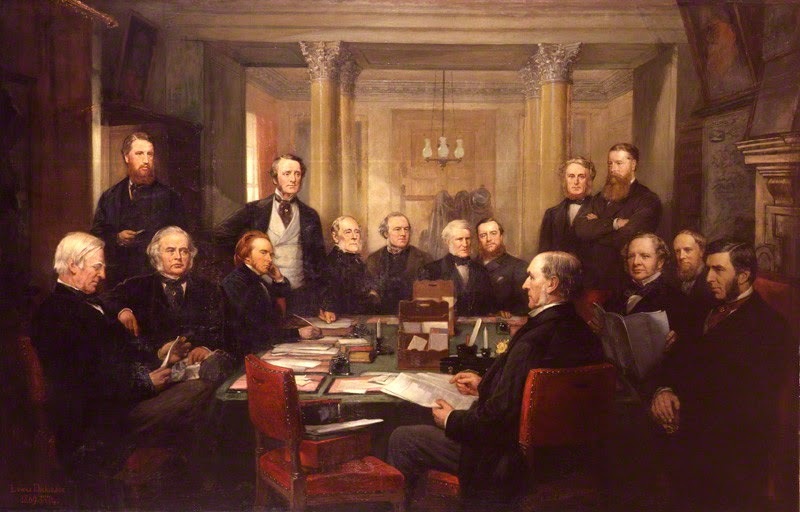 We were filed into a plain boardroom which turned out to be the Cabinet Office and discovered we’d been sat in the chairs from Disraeli’s time. The simple room belies its lengthy history. After the tour the mentees filed into another boardroom and were sat around the edges. The attending members of the Inspiring Fifty had been partaking in a round table with Baroness Joanna Shields, chair of TechCityUk, regarding initiatives they believe the government could undertake to improve Europe’s digital economy. Half of the mentors – the Inspiring Fifty – stood up in turn and and introduced themselves with a short 2 minute speech. Some spoke about how they see tech as a growing area which more women need to take advantage of. Some spoke of how they defied sexist assumptions in their youth to become founders and board members of tech companies. Others spoke about how young women need to be informed that tech is not just for the boys. A few others spoke about the gender imbalance in tech, from developers to founders. Each had something inspiring to say. Sarah Wood, co-founder and COO of Unruly Media, stated that we need to do more to bring the older generation closer to tech. As technology becomes more central to our lives those who did not grow up with it may find themselves becoming isolated. Neelie Kroes, Ex-Vice President of the European Commission, spoke about how Europe must come together more and embrace its burgeoning tech startup culture, in particular supporting women. A few of them used words to the effect of being in tech is not just about “sitting in a dark room coding”, which of course it isn’t, but I couldn’t help feeling like my chosen career was being deemed as insufficient and something I should strive my way out of via entrepreneurship. I felt myself unwittingly sinking into my chair feeling like some kind of interloper at this prestigious event. Afterwards we headed back out for more elderflower and mingling in a format loosely based on ‘speed networking‘. I managed to speak with Sue Black, Sarah Wood and Sherry Coutu. I asked for advice on career building as an Engineer and received a few tips, for which I’m grateful, although I couldn’t shake the feeling that I didn’t belong there. Finally, there were photos outside number 10, where even I could not resist the temptation to take a selfie! The event was about women leadership, and that is definitely something I wish to learn more about and harness in myself, but the way it was presented felt that it would need to be at the expense of my Software Engineering career – I like coding and we could certainly do with more women Software Engineers. Leadership isn’t confined to entrepreneurs; from Grace Hopper and Molly Holzschlag to Anna Shipman, engineers have demonstrated such qualities. These are skills and traits that need to be nurtured in people at every level and chosen career path. I would like to see the encouragement of role models in tech include all aspects of tech and not made to feel like a race to the boardroom. The event has inspired me to be on the look out for mentorships aimed at women software engineers, preferably by women. Senior Engineers, Architects, Tech Leads, CTOs, etc. I follow the idea that it’s difficult to believe you can be something if you can’t see other people like yourself already being it. If it doesn’t already exist, well, I may have to make it myself. The event was a wonderful opportunity for entrepreneurs now can we have one for engineers? At the end of 2012 I performed a simple Retrospective of the year. I seem to have neglected to do one at the end of 2013 but it shall be a yearly habit from now on. A short presentation at King’s College to undergrad Comp Sci students about a Day in the Life of a Developer at 7digital as part of the Graduate Developer Community’s Meet a Mentor scheme. Presented at NorDevCon 2014. Video available at InfoQ. This is a big achievement for me personally. Thank you to those that made it happen. 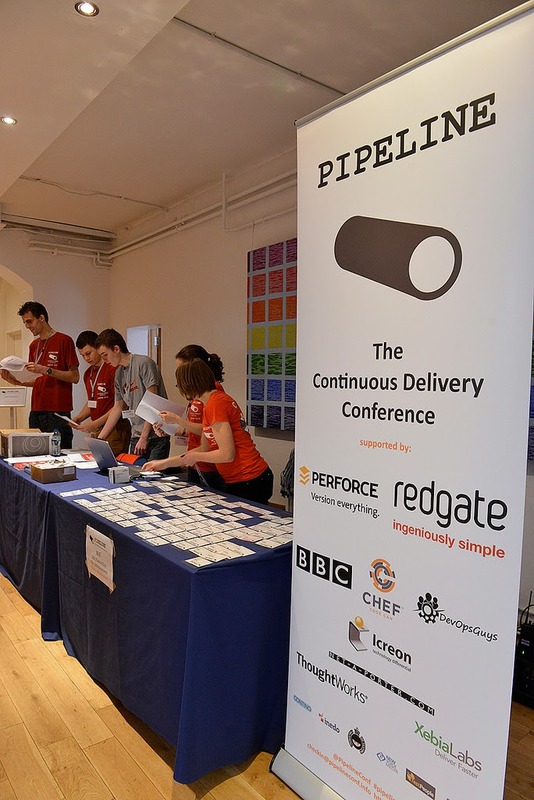 Co-organised my first conference – PIPELINE 2014! Attempted the Computer Networks Coursera course and achieved a grade of 47%. I’m proud of this score as it was a pretty intense course. Stepped down from the ACCU committee as I could no longer devote the proper time to it. Only managed to finish reading 6 books when I’d hoped to read 18. In August I left my role at 7digital, I job and company I loved and spoke about, after 4 years of being with them. I wanted to try a new challenge. I know it sounds corny, but I really did. I wanted to see if I could take all the things I’d learned there to somewhere new, share my knowledfe and learn even more. I took up a Senior Engineer role at JUST EAT and it’s been great. I’ve had much to learn and as a result have been battling my own Imposter Syndrome, but I hope I’ve been making a difference, even a small one. I plan to get back on top of my reading, blogging and neglected fitness – the usual stuff. Having left 7digital in August I now longer feel comfortable presenting about the experience report about their journey towards Continuous Delivery. Change happens there every day and I am no longer able to ‘finish’ the presentation with details of what is currently being achieved. There are still many things I could talk about from that time though, possibly distil the learnings into something more transferable, but I believe the audiences enjoyed hearing a real life experience report. Creating a new presentation is top of the list and I’m open to ideas and suggestions. Once again I’ve achieved more than I thought – a year is a long time and we regularly fail to remember anything other than recent events. This feeling has been compounded by my focus in the latter half of the year being centred almost exclusively on my new role at JUST EAT, which is to be expected. A new role is challenging with a new codebase, domain, terminology and people to learn about, which is exactly what I was seeking, so I’m happy! This post expands on a train of thought initiated by Dan North in his talk “Kicking the Complexity Habit” at NDC London 2014. “Frequent releases reduce risk” – this is something you hear all the time in conversations about Continuous Delivery. How exactly is this the case? It sounds counter-intuitive. Surely releasing more often is introducing more volatility into Production? Isn’t it less risky to hold off releasing as long as possible and take your time with testing to guarantee confidence in the package? Let’s think about what we mean by risk. Therefore an extremely low risk activity is when failure is incredibly unlikely to happen and the impact of the failure is negligible. Low risk activities also include those where either of these factors is remarkably low such that it severely reduces the effect of the other. Playing the lottery is low risk – the chance of failing (i.e. not winning) is very high, but the impact of failing (i.e. losing the cost of the ticket) is minimal, hence why many people play the lottery. Flying is also low risk due to the factors being balanced the opposite way. The chance of a failure is extremely low – flying has a very high safety record – but the impact of a failure is extremely high. We fly often as we consider the risk to be very low. High risk activities are when both sides of the ratio are high – high likelihood of failure and high impact, for example extreme sports such as free solo climbing and cave diving. Rolling a set of changes into a single release package increases the likelihood of a failure occurring – a lot of change is happening all at once. The worst case impact of a failure includes the release causing an outage and severe data loss. Each change in a release could cause this to happen. The reaction to try and test for every failure is a reasonable one, but it is impossible. We can test for the known scenarios but we can’t test for scenarios we don’t know about until they are encountered (“unknown unknowns“). This is not to say that testing is pointless, on the contrary it provides confidence that the changes have not broken expected, known, behaviour. The tricky part is balancing the desire for thorough testing against the likelihood of them finding a failure and the time taken to perform and maintain them. Build up an automated suite of tests which protect against the failure scenarios you know about, and each time a new one is encountered add it to the test suite. Increase your suite of regressions tests, but keep them light, fast and repeatable. No matter how much you test, Production is the only place where it counts. Releasing often, containing as small a change as possible, reduces the likelihood that the release will contain a failure. There’s no way to reduce the impact of a failure – the worst case is still that the release could bring the whole system down and incur severe data loss, but we lower the overall risk with the smaller releases. Release small changes often and reduce the likelihood of a failure and therefore the risk. 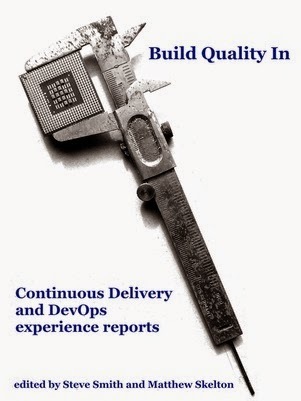 Book – "Build Quality In"
I’m extremely happy to announce that I’ve been asked to contribute to a new book about Continuous Delivery and DevOps called “Build Quality In”. The book is being collated and edited by my LondonCD and PIPELINE conf colleagues Steve Smith and Matthew Skelton. We’re going to be donating 70% of author royalties to the awesome initiative Code Club as our way of giving back. It’s going to be a collection of experience reports, including the successes and failures of many teams and projects – there will be much to share and learn! @AgileSteveSmith hah! It would probably say “Don’t, or try not to”. Although it varies by what you’re versioning. Versioning is hard, so why do we do it? To enable consuming apps to resist change. What if these apps were built to be tolerant of change? What if you built your API or library in such a way that you avoided breaking the contract, but added to it? What if you constantly push changes and consumers constantly consume them? What would you need versioning for now?